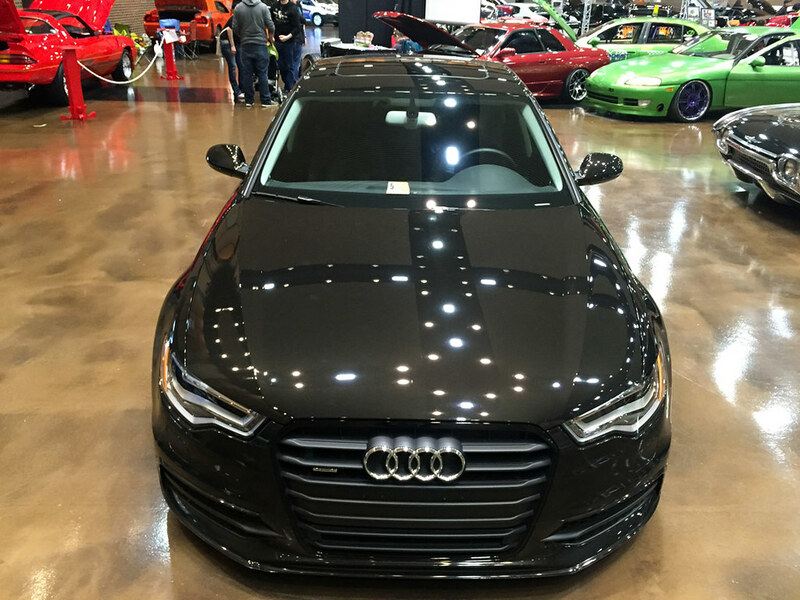 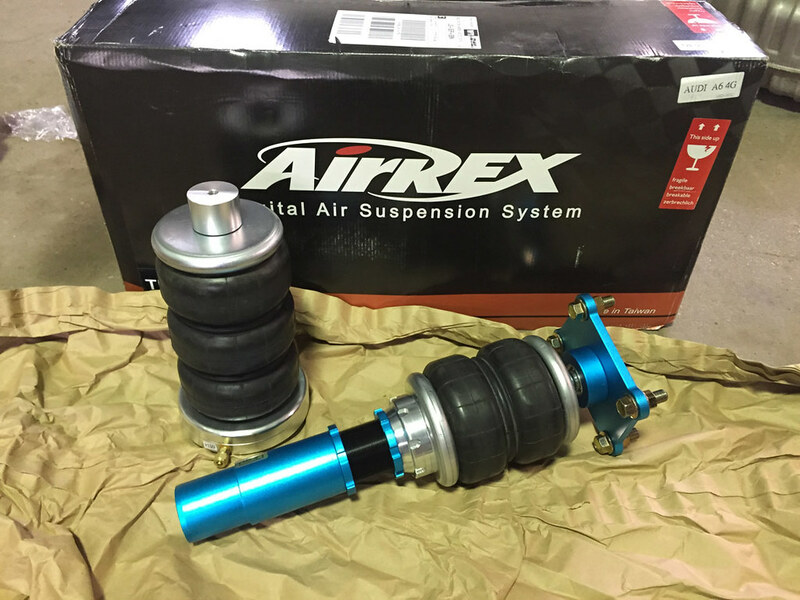 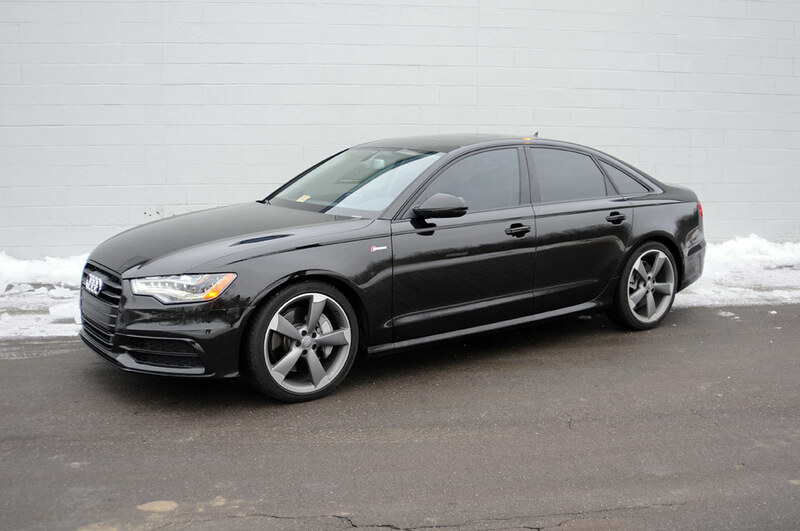 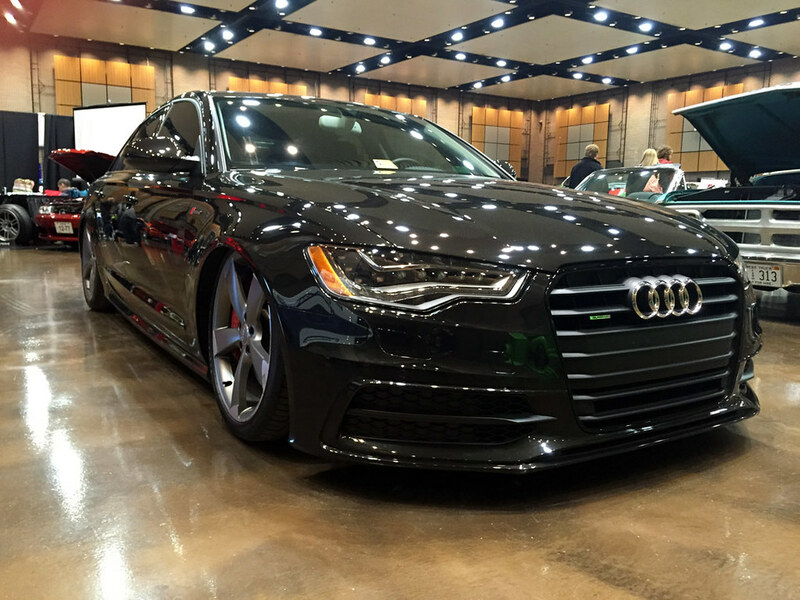 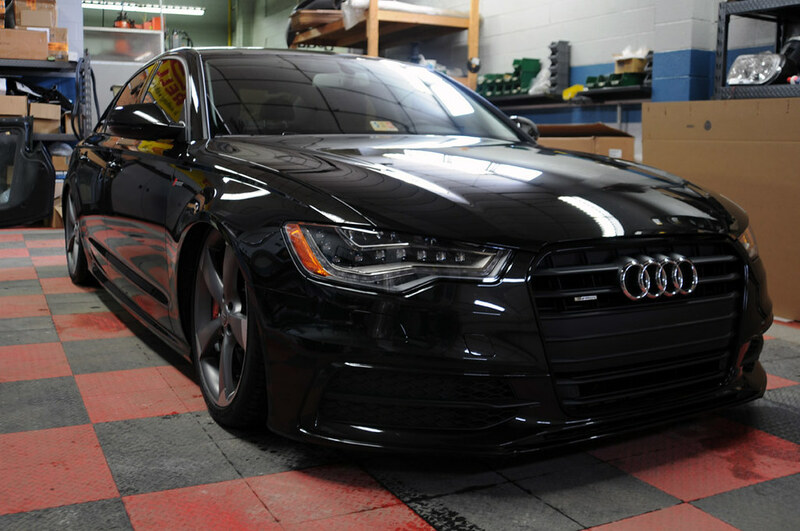 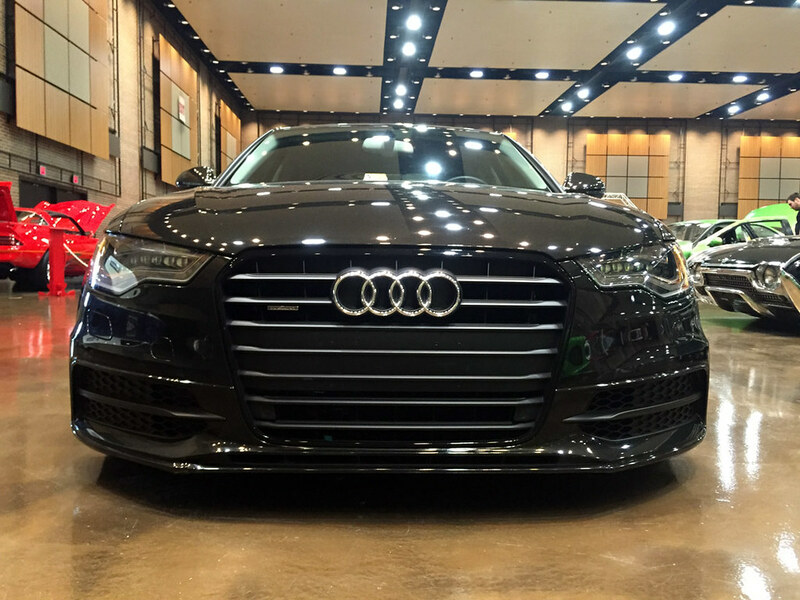 We recently bagged this 2014 Audi A6 using AirRex struts and AccuAir E-level managment. 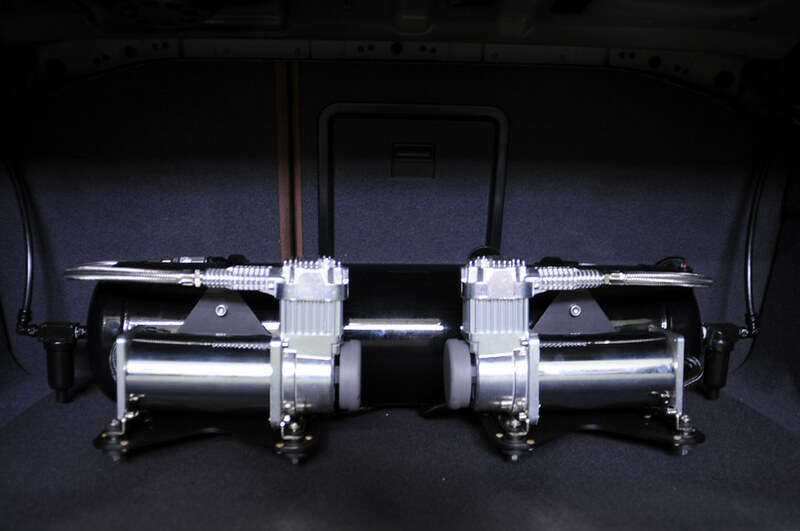 Along with their i-Level wireless system, we added a clean tank & compressor setup in the trunk, eliminating a majority of the wires by hiding the valve block and ECU. 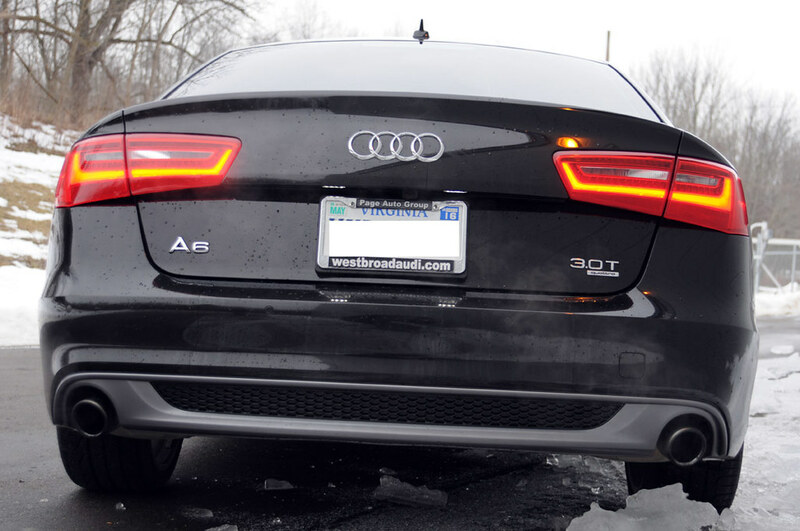 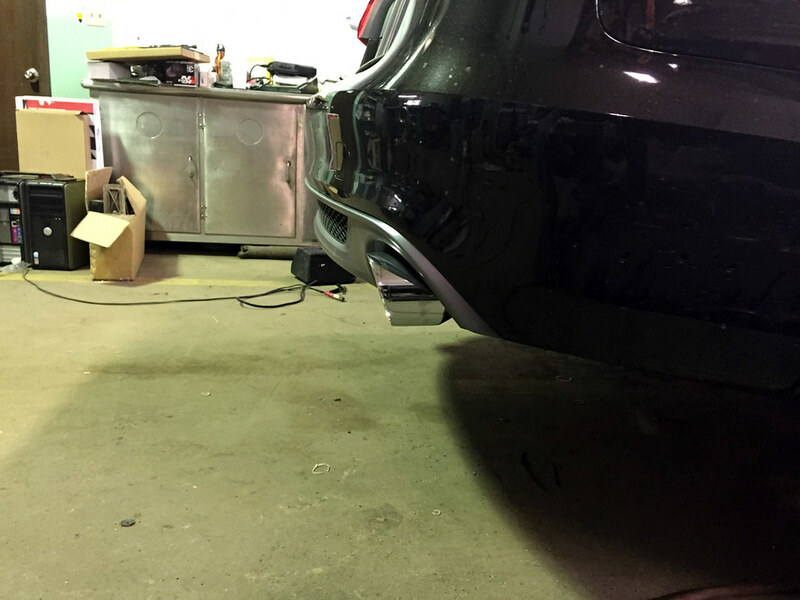 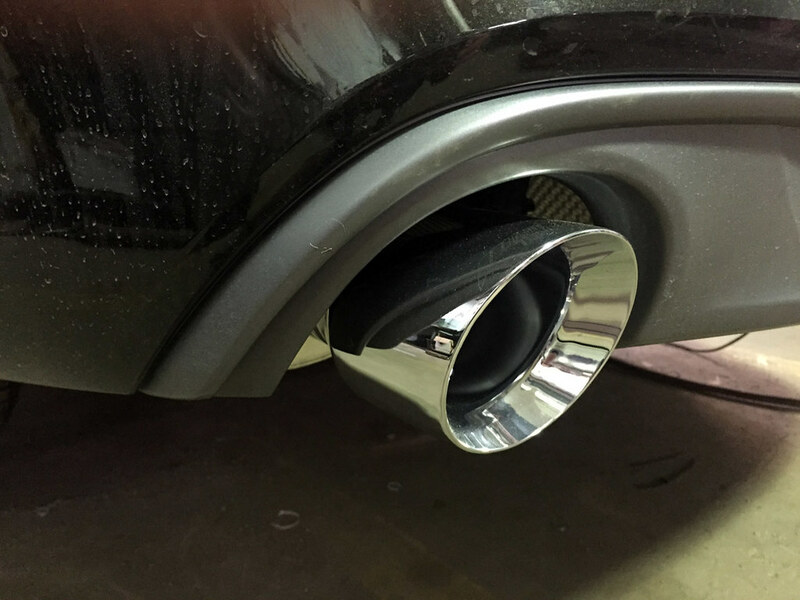 Since no exhaust is available for this car, we custom modified an AWE exhaust made for the A7. 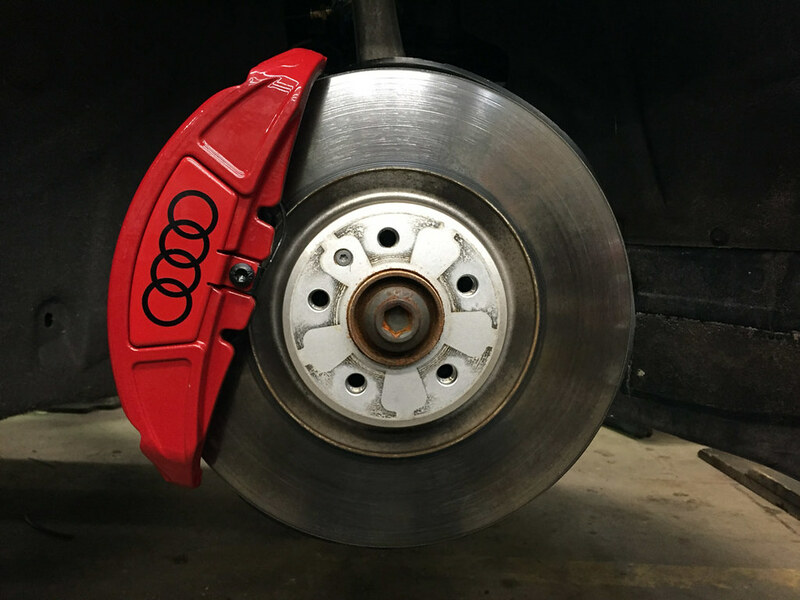 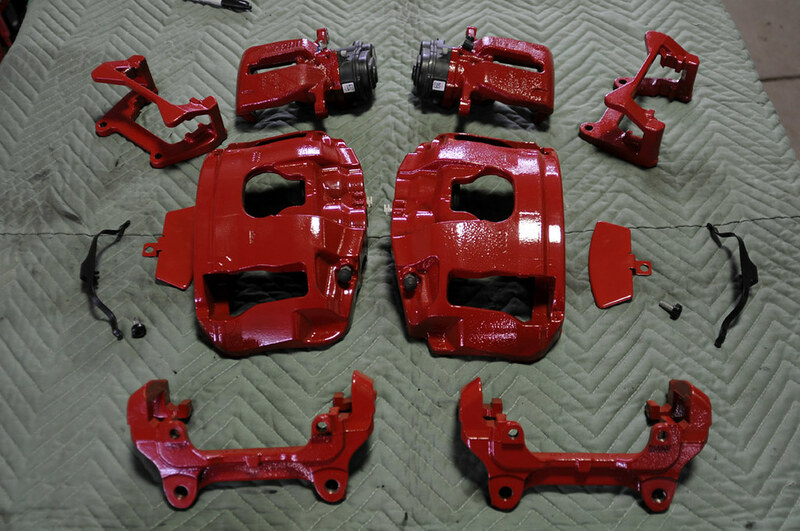 Some custom made bag cups for the rear, powdercoated red calipers with 4rings logo, custom modified AWE Exhaust finish off this year round driver!